Gerard Schwarz Interview with Bruce Duffie . . . . . . . . . Internationally recognized for his moving performances, innovative programming and extensive catalogue of recordings, American conductor Gerard Schwarz serves as Music Director of the All Star Orchestra, an ensemble comprised of musicians from America's leading orchestras who will collaborate in a public television series designed to encourage a greater understanding and enjoyment of classical music. He is Music Director of the Eastern Music Festival in North Carolina and Conductor Laureate of the Seattle Symphony. With more than 300 world premieres to his credit, Schwarz has always felt strongly about commissioning and performing new music. As Music Director of the Eastern Music Festival, that focus continues with numerous world premieres, including one of his own works. During Schwarz’s tenure, he has expanded the Festival's audiences to the largest in its history, incorporated a composer in residence program, developed three new concert series and increased collaboration with the Appalachian Summer Festival. A prolific recording artist, Schwarz has a total discography that numbers nearly 350 on more than 11 labels. His pioneering cycles of American symphonists such as William Schuman, David Diamond and Howard Hanson have received high critical praise, as have his acclaimed series of Stravinsky ballets; symphony cycles of Robert Schumann, Gustav Mahler and Dmitri Shostakovich; and orchestral works of Richard Wagner, Richard Strauss and Rimsky-Korsakov. More than 50 discs featuring Gerard Schwarz and the Seattle Symphony — with works by 54 composers ranging from the Baroque to contemporary periods — will be released in 2012 and 2013 on four labels. In addition to his numerous recordings with the Seattle Symphony, he has also recorded with the Berlin Radio Symphony, Czech Philharmonic, English Chamber Orchestra, Juilliard Orchestra, London Symphony, Los Angeles Chamber Symphony, New York Chamber Orchestra, Orchestre National de France, Philadelphia Orchestra, Royal Liverpool Philharmonic and Tokyo Philharmonic. A sought-after guest conductor, Schwarz has led many of the world’s greatest orchestras. He is also known for his operatic performances, having appeared with the Juilliard Opera, Kirov Opera, Mostly Mozart Festival, San Francisco Opera, Seattle Opera and Washington National Opera. He has led 21 productions with the Seattle Opera. 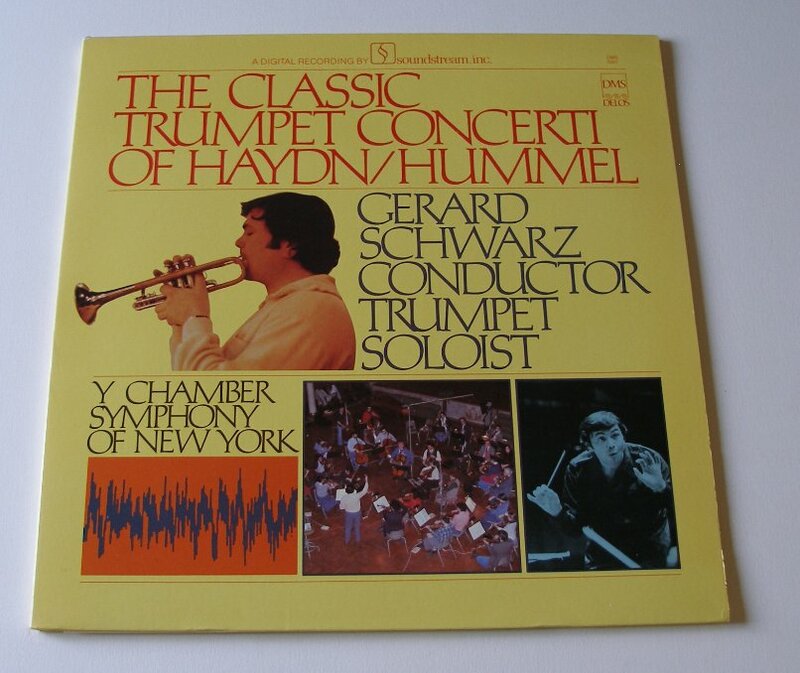 A graduate of The Juilliard School, Schwarz joined the New York Philharmonic in 1972 as Co-Principal Trumpet, a position he held until 1977. Schwarz’s numerous previous positions include Music Director of New York’s Mostly Mozart Festival, Music Director of the Royal Liverpool Philharmonic, and Music Director of the Los Angeles Chamber Orchestra and New York Chamber Symphony. Schwarz, a renowned interpreter of 19th-century German, Austrian and Russian repertoire, in addition to his noted work with contemporary American composers, recently completed his final season as music director of the Seattle Symphony in 2011 after an acclaimed 26 years — a period of dramatic artistic growth for the ensemble. While at the Symphony, Maestro Schwarz amassed a critically acclaimed discography of more than 140 recordings, and recorded numerous television programs and concert broadcasts. He was instrumental in the building of Benaroya Hall, and the implementation of music education programs including new series and the successful Soundbridge Seattle Symphony Music Discovery Center. During his tenure, ticket sales increased dramatically. In his nearly five decades as a respected classical musician and conductor, Schwarz has received hundreds of honors and accolades including two Emmy Awards, 13 Grammy nominations, six ASCAP Awards and numerous Stereo Review and Ovation Awards. He holds the Ditson Conductor’s Award from Columbia University, was the first American named Conductor of the Year by Musical America and has received numerous honorary doctorates. Most recently, the City of Seattle recognized his outstanding achievements and named the street alongside the Benaroya Hall “Gerard Schwarz Place,” and the State of Washington gave him the honorary title of “General” for his extraordinary contributions as an artist and citizen. As reader of this series of interviews will know, most of my guests were originally sought in order to be presented on WNIB, Classical 97 in Chicago or in one of the several publications to which I contributed over the years. However, in my concurrent stint with the Music in the Air Corporation, which provided the in-flight entertainment package to several major airlines, I was asked to chat with several other guests for their specific needs. My arrangement was for the airlines to have exclusive use for a year, after which the rights would revert to me for use elsewhere. This interview with Gerard Schwarz is one of those. In February of 1988, arrangements were made for me to speak with Schwarz, and portions were used aboard Northwest Airlines during April through June of that year. Four years later and five years after that, I presented other portions on WNIB as part of my regular “round-birthday” sequence of programs. Then in 2007 Schwarz was included in my series on WNUR, and the following year in the series on Contemporary Classical Internet Radio. Now it is my pleasure to present a transcript of the entire interview on this website. Naturally, the topics ranged over his entire repertoire, including his emphasis on living composers. Since I was also contributing to Wagner News at that time, we discussed his growing interest in that arena, and his connection with Seattle where they did the Ring and other works regularly. These days, Schwarz continues with full steam, and the biographies at the top and bottom of this page reflect the current state of his career in 2013. Here is what was said that long-ago afternoon . . . . . . . . .
Bruce Duffie: You were a trumpet player, now you’re a conductor, so to borrow a phrase from Madison Avenue, do conductors really have more fun? Gerard Schwarz: [Laughs] I guess “fun” is not the right word to describe what conductors have or what conductors do. I certainly am one of those people who loves his work. To me, what I do doesn’t seem like work at all, but on the other hand I feel like I’m doing something that is important culturally in the cities and countries I work in, especially in my cities of Seattle and New York. I can’t say that I have more fun now than when I was a trumpet player. I would say there are a lot more pressures and also a different kind of pressures, and in some ways I think it’s a much more rewarding musical life. BD: Does your background being a professional player make you a more sensitive conductor when working with instrumentalists? GS: Every conductor feels that what they have is important to being a great conductor. I read an interview with a conductor where he said that you have to have a photographic memory to be a conductor. Now that happened to be a conductor who had a photographic memory. I don’t think that’s very important because I don’t have a photographic memory. If I were to say what’s important, obviously my feeling is that I had mastered an instrument and was a member of a major orchestra, and that has a very positive bearing on my ability to work with orchestras and my ability to communicate with orchestras and individual players, and to feel what they’re feeling and understand their needs. The conductor looks at the orchestra as his colleagues in trying to make great music, but they’re not equal colleagues. The conductor makes demands on the instrumentalists in the orchestra, and they hopefully understand what those musical or technical demands are and are able to do what the conductor asks. In a sense we’re working together, and I think that my background as an orchestral player has a positive impact on my ability to communicate these ideas and to have the orchestra successfully work with me. BD: When you made the transition you were still playing in the Philharmonic, so did you consciously observe the conductors more closely during rehearsals, or did you simply always absorb it throughout your playing days? GS: When I was in the New York Philharmonic, I was always an observer and a studier. I studied the scores even when I didn’t have any interest in being a conductor. I studied what the conductors did because I was curious anyway. The sign of a great orchestral player is someone who can read the conductors well, understand what their individual techniques are trying to get across; not only understand their part and play their part expertly, but understand where it fits into the whole picture of the symphony or the concerto or the symphonic poem or whatever the work happens to be. That was the kind of orchestral player I tried to be. I tried to interpret as best as I possibly could what the conductor was trying to get at, and understand the score in general as best as I could. That was my general attitude even when I had no aspiration to be a conductor. Once I decided I wanted to be a conductor, I continued with the same ideas but maybe with a little more intensity. I started to really study what they were doing, and what was successful and what was not successful. I would not only look at their successes and their abilities to get what they wanted, but I also looked and saw what mistakes they made, and tried to absorb the mistakes in the sense that I would not make them myself. BD: Are there many orchestral players that do what you do, or just a few? GS: The really great orchestral players do what I do. They might not have actually studied the scores as thoroughly as I did, but they certainly knew them. When I was in high school, I was working with some retired members of the NBC Symphony. There was one violinist in particular whose name was Teddy Fishburg. He was playing in those days in some amateur orchestras just for fun because he was obviously retired and not playing with professional orchestras anymore. If somebody missed a cue in a Beethoven symphony or missed a solo or did anything wrong, he was there not only playing it but also correcting them. He really knew the score that well. Great orchestral players have to be experienced, and they have the ability to do those things, to interpret the conductor very well and to thoroughly understand the score. BD: About the Beethoven symphonies, do many players just absorb them having played them so many times? GS: Yes, a lot of them absorb it, and generally speaking that’s what makes great orchestral players. Most of them don’t study the scores the way I did, but after three or four years in a major orchestra, you have gone through all the repertoire. If you consider that when I was in the New York Philharmonic, I was probably playing in the neighborhood of 180 concerts a year, of which there were probably forty or fifty different programs. You play a lot of repertoire, but if you do that for three or four years, you’ve played most of the standard repertoire. So the second or third time you go through those works, you really start to feel very comfortable with them. The major works, when you think about them, are really a handful of the Brahms symphonies, the Beethoven Symphonies, Mozart Symphonies, Schubert Symphonies, the ballets of Stravinsky, the tone poems of Richard Strauss, the opera excerpts of Wagner. You can name what those standard pieces are and they are in the hundreds, but in the end, when you consider how much music a major orchestra plays in a season, you do a lot of the standard repertoire, and in the course of three or four years you probably do it all two times. BD: You get audiences who come to these concerts year after year. Is it right to subject them to the same works over and over again, even if these works are monumental? GS: I think, in fact, that the audiences like that. The audiences like hearing familiar works. Audiences have favorites. You do the Sibelius Second Symphony and the audience says, “Oh, I know that, I love that. It’s beautiful.” They’re familiar with it and they love it. If you a do a work that is unusual to them but is simple in its melodic material, a little repetitious so that they can absorb it quickly, an audience can love it the first time through. For example, I recently did a Howard Hanson Second Symphony in Seattle and then went on tour with the Seattle Symphony to Southern California. It’s a work that I consider a major important orchestral work, and I would say that most of the people in the audiences had never heard the piece before. Yet it got a tremendous ovation because the structure of it is simple enough, the melodic and harmonic material is simple enough, the dramatic material is stirring enough to reach an audience the first time around, so much so that they can respond to it even though they haven’t heard it over and over again. Now if they were to hear it over and over again, I think they would continue to love the piece, but they could then look forward to it. They could say “Oh, I heard that Hanson symphony and I loved it.” They were touched and moved by it and they can look forward to hearing it again. The problem we do find is the opposite, which is when you do works that are a little more difficult, a little more complicated. It could even be a late work of Strauss that people may not understand so well. For example, not too long ago I performed and recorded the four interludes from Intermezzo by Strauss. The first time around it left the audiences a little cold because it’s very thick and it’s hard to grasp. It’s a little more subtle in its way than perhaps the Hanson symphony is, so it takes a couple of hearings before you really can be totally involved in it because you know what to expect. It’s not so different from re-reading Shakespeare or going to one of his plays that you’ve heard many times before. You look forward to the different interpretation, you look forward to being touched by what’s being done on that stage. So the problem is not so much that we’re subjecting the audiences to a traditional repertoire over and over again, the problem goes more in the direction of how do you open the audiences up so that they are willing to accept new material that they have not heard before, and hopefully enjoy it. BD: You are an advocate of new music. How do we get the audiences to open up their ears to something new and unfamiliar? GS: I think most audiences in general have associations. For example, in Seattle where I’m the music director of the Seattle Symphony, they have an association with me. I conduct more than half the concerts, so more than half the time that the audience comes to the concert hall, they are seeing and hearing me conduct. I give them a lot of the standard repertoire but I also give them a lot of new music and a lot of unusual repertoire. The way I’ve done it over the last five years is to build a trust between me and the audience. I don’t give them a lot of new music all at once and I don’t give them a lot of unusual things that they find difficult to grasp immediately. You do it slowly. You do a few pieces that they don’t know but they will enjoy. After a while, you do enough of those kinds of pieces and the audience says, “I never heard of this composer, or I never heard of this particular piece by a well known composer,” and they look forward to it because they have tested me over and over again, and every time I’ve come through for them with some repertoire that they actually like. This audience has a particular attitude about unusual repertoire and new music which I think is very positive. It’s the job of the music director in each of the major cities of this country to take that attitude and develop it, and to utilize the ideas from his audience. Now as a guest conductor or as a touring orchestra, you can’t build an audience in that sense. You still have a responsibility to bring some unusual repertoire, but there has to be a balance so that they can also hear the standard repertoire that they have come to love. BD: In choosing programs either for home or touring or for guest engagements, you have this huge vast amount of literature -- the old works, the standard works, the new works which are crying out to be done. How did you decide which works you will play and which ones you will put aside for another season, and which you will never touch? GS: Throughout every year I make lists of pieces. I’ll say, “Oh, gee, that’s a marvelous symphony by Walter Piston, let’s say the Second Symphony, and there’s a wonderful symphony by David Diamond, the Fourth Symphony, and then there’s the First Symphony of Howard Hanson that I like so much. Then there’s a new work of Stephen Albert that I want to do, and a new work of Joseph Schwantner I want to do.” I make these lists and then I say, “Oh, there’s a beautiful string work by Dvořák that most people don’t know. That’s the Nottorno in B. I’d like to do that piece again. Or I’d like to do the complete Bourgeois Gentilhomme by Strauss, or wouldn’t it be marvelous to do the Symphonic Fragments from Josephslegende.” You make these lists and you also have soloists that you like to appear with playing specific repertoire. Just recently I was talking about doing two Brahms concertos and two symphonies in a pair of concerts in Los Angeles and I thought, “Who is the best pianist for those two concertos?” After you put all these lists down, then, of course, you do the standard literature. In Seattle I do a Tchaikovsky symphony every year, a Brahms symphony every year, and there is usually one or two Beethoven symphonies. Sometimes I do them and sometimes a guest does them. We’ll do a Mahler symphony a year, we’ll do a Bruckner symphony a year, we’ll do a Sibelius symphony, in other words, standard works that every orchestra has to do to maintain its fundamental style and sense of playing. These can be done by guest conductors or by the music director. Then around those major works you fit in the ones that make sense programmatically that are more interesting. Sometimes you get a lot of them programmed, sometimes you have to wait for another year and another year. For example, I recently put down that I would like to do the complete Peer Gynt. I wanted to do the complete L’Arlésienne by Bizet, which I will do in New York with the New York Chamber Symphony. GS: What I look for in a piece is exactly your description of it – what grabs you! It grabs me with something, whatever it may be. It may be its beauty, it may be its gorgeous harmonies, it may be its tremendous dramatic sense, it may be its excitement, it may be its purity. Who knows what grabs me? Something grabs me, and then the question is does it continue? Does it follow-through? Does it structurally work? Does it go from A to B to C and to the end? That is the hardest thing, especially when dealing with new music. Does it go somewhere? Does it have momentum? A piece can start in many, many ways. We all know that. It can grab you and it can touch you. The question is does it have momentum to follow-through? That’s the most difficult thing about writing music. The ideas in some ways are easier to come by than the technique to fulfill the ideas into a major work. So something grabs me, and then the question is does it keep your interest? If it does, then it’s a piece I want to do. Also, I have certain prejudices like everyone else. I like certain types of music and that comes from education, from history and from knowing what audiences like and knowing what orchestras like. You put all of those questions to yourself also. BD: Do your likes and dislikes change over the years? GS: Yes, my likes and dislikes change a reasonable amount over the years. Sometimes it seems like you’re getting more conservative and sometimes it seems like you’re getting more interested in something that’s unusual. It really depends upon the personality of the composers. I also go through stages. I’ve been through a stage in the last few years where I’m just wild about Richard Strauss, and I keep finding more and more unusual works by Strauss and loving them. Recently I recorded the Divertimento for Small Orchestra which I consider to be a true masterpiece that very few people know. The Duet Concertino for Clarinet and Bassoon is another fabulous piece. I go in stages where a composer reaches me and then I want to do everything that he ever did. Sibelius is a composer like that. As well as we all know the First and Second Symphonies, and we know the Seventh Symphony and the Fifth Symphony, a symphony like the Fourth I consider to be in some ways Sibelius’s greatest and yet probably the least performed. BD: So then you’re going to mount a crusade to the do the Fourth? GS: Yes, I will do the Fourth. I’m on a number of crusades right now. I’m on a crusade to do Howard Hanson’s symphonies and record them, and also Walter Piston’s symphonies. I’m getting very interested once again in Hindemith. For a long time no one was interested in Hindemith. I’m interested in doing, especially with the New York Chamber Symphony, Bach’s Art of the Fugue and the Suites because I think that’s crucial for the fundamental growth of any orchestra. I want to continue our growth, just the way I feel that Mozart and Haydn and Schubert are for large orchestras and I continue to do them. Now those aren’t causes because everyone does that repertoire, but more and more we see fewer and fewer major large orchestras doing Classical Period repertoire and that’s very destructive to them as orchestras. BD: Are there new composers who will take their place alongside Mozart and Haydn and Beethoven and Sibelius? GS: Yes, I think there are. It’s hard to say alongside Mozart and Beethoven because those are such monumental extraordinarily unbelievable composers that it’s hard to say if anyone will ever reach that stage again, but it’s possible. At this moment here in the United States we have a large number of extremely gifted composers who, I feel, are making some tremendous contributions to the symphonic, chamber and solo repertoire. I think we will see and look and back at this time of the Eighties and I’m sure the Nineties and into the next century as being very important years for contemporary music in the United States. GS: The advice is the same advice that I’ve always had. It’s the advice I took for myself when I was studying composition, and that is to really study the technique. You really have to know how to write. You have know how to write melodically and harmonically and structurally. You have to know and understand instrumentation and orchestration, and after that you have to really know how to go, as I said before, from the beginning to the end with a continuity that is crucial. BD: Do you conduct any differently in a recording studio than you do in a concert hall? GS: I try not to. I try to hopefully conduct with the same passion and involvement for recordings as I do for concerts. It’s not to say that I always succeed, but it is my intention. BD: Are you pleased with the recordings that you’ve turned out so far? GS: By and large I’m extremely happy with them, yes. BD: Is there ever a case where the recording is too perfect because you’ve been able to cut and paste the right things to piece together a perfect performance? GS: No. I never feel that they’re too perfect. I have felt, as time goes on, that earlier recordings of mine are interpretively a little too perfect, too straight, not flexible enough. But that has to do with me, not with the recording process. Obviously I’ve changed over the years, and I’ve been recording for enough years to even witness those changes on the recordings. That’s not to invalidate the performances that were done when I was younger. They’re just different. In fact there are people who prefer my performances when I was younger to the ones I do now. I don’t, clearly, but I can understand. It was a way. It reminds me of a story that Georg Solti once told, which was that every conductor should record all of the Beethoven symphonies three times -- when he’s young, when he’s middle aged and when he’s old -- and hopefully you will get three completely different interpretations and three equally valid ones. I believe that. BD: Are you now heading into your middle interpretations? GS: I’m in my middle now. I have not recorded all the Beethoven symphonies in my early years, but I am, at this moment, in my middle years. BD: Are you and your generation particularly fortunate that there will be air checks of broadcasts and in-house recordings so that there really will be the documentation of the early performances? GS: If you think of yourself as being an important artist, yes, it’s a wonderful feeling. Only time will tell whether we’re that important. Probably the time after we’re dead will tell that because, as you know, now you can get Furtwängler and Toscanini performances from just about any concerts that they ever gave on recording or tape, as you can with Kleiber the father and so many others. Hopefully we conductors of my generation would like to be that well thought of, but only time will tell. BD: Let us talk specifically about some of the recordings. Does the Seattle Symphony play Wagner better because of having done the Ring for so many years? GS: My answer to that question should be, “Yes, they play Wagner better because they’ve been exposed to Wagner,” but the reality is I feel they play everything fabulously. When we were on tour last week doing a Wagner/Brahms program, my concertmaster came to me and said, “You know, we should play Wagner better, but I think we play Brahms better.” Someone else came to me and said, “You know it’s really true, we do play Wagner better.” If an orchestra is trained properly in whatever tradition that is, they will do well by that tradition. Our orchestra plays Wagner extremely well, but they also play I think everything else extremely well. So my answer is that I don’t really think it has had a tremendous impact. BD: Tell me about the recordings you’ve made of Wagner. These are excerpts of the orchestral parts from the various Wagner operas? GS: That’s right, and some overtures. I guess you could say that those are excerpted from the operas as well. We’ve done two recordings of all Wagner. The first one was, in fact, the first record we ever made, and it was important for us to establish ourselves with significant, known repertoire, and at the same time not be put in a position of anyone saying, “Why are they recording Wagner when the Berlin and Vienna have recorded it?” The fact that we had played the Ring for ten years at that time was a significant fact, and it gave us a kind of credibility to be able to record that repertoire, and by and large it was extremely well received. BD: Does doing all this Wagner whet your appetite to do some Wagner in the theatre? GS: I’ve been a great fan of Wagner operas all of my life. I did the American premiere of his second opera, Das Liebesverebot, at my Waterloo Festival. I was Music Director there for ten years, and presently am the Principal Conductor of that festival. Next season I will do The Flying Dutchman with the Seattle Opera, so it will be very exciting for me. I’m a great lover of Wagner operas. BD: Why specifically the special interest in Wagner? GS: I feel it is some of the world’s greatest music. I think that Wagner had not only a tremendous dramatic sense, but an incredible ability over a long period of time to really keep one’s interests musically, which is quite extraordinary to me. I should probably say that it’s part of my background since my parents are both from Austria. I was exposed to the repertoire from the time I was very young, and continued to be into my teenage years. It took, and it was part of me. My mother’s from Vienna and my father’s from Mödling, a suburb of Vienna, but I don’t believe that I therefore conduct German or Viennese music better than someone else might who comes from France or from The United States. I’m not a believer in that. On the other hand, the exposure was there from the time I was very young and I guess that’s critical to anyone’s life in the arts. BD: Having done Das Liebesverbot piques my interest. Why is that never done? GS: I don’t know. I think it’s a great opera. It’s full of marvelous stuff for the stage and wonderful tunes. People complain and they say it sounds like Meyerbeer. I don’t really think it sounds that much like Meyerbeer. I think it sounds like Wagner and it’s a great work. It’s hard for me to understand. It’s got a large cast, a lot of people in it, so maybe that’s part of the reason. In The United States we tend not to do as much of the interesting repertoire in terms of the operas that they do in Europe. There is, as we know, an opera boom in The United States, and there are many wonderful companies now doing quite significant productions. But we’re not by and large doing unusual operas. For example, I do every summer at Mostly Mozart Festival at Lincoln Center an unusual opera by Mozart, which means an early opera. Some of them are quite extraordinary works. This year I’m doing Lucio Silla, and in the past I’ve done five others. They’ve often been performed in Europe, but most of them have never or rarely been performed here on the stage in The United States. Maybe it is our taste, but even though there’s a tremendous boom in opera, we are not ready to get the more unusual and sometimes obviously not as great works of the masters. If an opera company’s going to put on a Wagner opera, they’ll do Meistersinger or Dutchman or Tristan. Liebesverbot is obviously not as important a work, and while I think that’s true, until they’ve done all the others maybe they feel it’s not time to do it. The seasons of the American opera houses -- with the exception of New York and Chicago and San Francisco and Washington -- are shorter. In Seattle we do five or six productions each season, which means that when you consider the hundreds of operas that we all know, that’s not very many. As a result, they will get to the more unusual ones a little more slowly than you would if you had a season that went on for forty weeks. BD: Should we do the lesser known works of the great composers, or the great works of the lesser known composers? GS: I think that you should do both. The lesser known works of many of the great composers are great. There’s no weak piece by Brahms. Some people have said that the two serenades are not great, but I disagree. They are masterpieces. Maybe they’re not quite as great as the symphonies, but they are true masterpieces. Everyone talks about Wellington’s Victory but putting that aside, every piece Beethoven ever wrote was important as far as I’m concerned. There are works by most composers that are not known. Dvořák is one that’s particularly neglected. Many great works by Dvořák, many of the earlier symphonies are extraordinary. Now there are some that aren’t good, and those, I guess, there’s no reason to resurrect. But the great works and the very good works by the great masters should be played. On the other hand, the great works by unknown composers also should be done, whether they be alive or dead. For example, I’ve been doing a number of works by Franz Schreker recently. I consider Franz Schreker to be a great composer -- unknown but great -- and the audiences have responded wonderfully to his music. In fact, the one recording I did of his, the Chamber Symphony, was extremely well received by the music lovers. BD: Should we only do great works? Is there no place at all for the lesser ones? GS: Of course there is a place for the lesser works, but even those have to have a certain greatness to them. The word “great” is where we have the problem. How great is great and what is it? Let’s make it a percentage. Let’s say that a Beethoven Ninth is a hundred percent and the Mozart G Minor is a hundred percent. Then let’s say that Dvořák’s New World is ninety five percent. I would say that any work from seventy or even sixty percent up should be played as being significant and important. We shouldn’t only do the greatest music, but we should do all music that can touch, can reach, can inspire, can influence an audience to the point where the works can be entertaining. I’m not totally against that concept even though I don’t consider myself to be an entertainer. I’m not in a position of entertaining audiences, yet, there are some works that can be very entertaining and that is a reasonable reason for performing them. BD: You’ve made a recording of the Prokofiev Romeo and Juliet. Let’s talk a little bit about that. GS: Prokofiev is one of those composers where actually less music of his is known than one imagines. If you take Romeo and Juliet for example, it’s about three hours of music in its complete form. I would say that it’s three fabulous hours of music! I’ve heard it done not only in the theatre complete, but I’ve also heard a recording of it complete, and it really is fantastic music. Prokofiev wrote three suites from this. Most conductors take a piece of this suite and a piece of that suite and they make their own which is reasonable and very successful. But I believe that if the composer made a suite, and it’s good, then let’s do it. For example, when Strauss did his suite from Rosenkavalier, it’s not very good, so I don’t believe one should necessarily do that one. In the case of Prokofiev, where he did make three excellent suites for Romeo and Juliet, I think it’s a reasonable point of view to say, “Let’s do Prokofiev’s version.” I did the first two suites complete, and it was very exciting. If we had room on the disc I would have done the third, but instead I filled it out with a marvelous waltz that was called Pushkin Waltz. BD: You’ve made recordings of Strauss, so tell me a little bit about those. GS: The Strauss that I’ve done with Seattle is an interesting combination of the most famous tone poem, Also Sprach Zarathustra, and the very unusual interludes from the great opera Intermezzo. I wanted to do the Intermezzo, and I felt a very close affinity with Zarathustra, so Delos was interested in having a combination of something very famous and something not famous, which is something that I like to do. We threw in the Dance of the Seven Veils from Salome, which is something that the record company really wanted to do and is a piece that I happen to really love. Some people consider it to be a little cheap, but I consider it be touching and ferocious and sensuous and extraordinary. And it was a piece that we loved doing in Seattle, so that record is among my favorites of all the records I’ve ever done. BD: Is there a direct lineage from Wagner to Strauss? GS: Yes, in a way there is between Wagner to Strauss to Mahler. There are certain similarities that one will always find in the music. They are very different composers, and yet if you do enough of their music you not only get to understand their pieces but you get to understand how there is a style that comes from one to the next, and how one naturally came from the other. The incredible chromatism of Wagner led to what Strauss then made it, into which led to the really quite wild extreme that Mahler brought to that Germanic repertoire. BD: Just as there is a lineage of composers from one generation to the next, do you feel that there is a lineage of conductors from one generation to the next? GS: I don’t know. This lineage of conductors is certainly a style of making music from one generation to the next, and we can easily see that there are the literal conductors and there are the very free emotional conductors. There are the ones that are in love with the music and bring a tremendous amount of personality, too, and then there are others who think that you shouldn’t interfere with what the composer wrote and just represent it because it stands on its own. There are some that like things quite slowly and others that like things fast. The easiest categories to put people in are the Toscanini category, being the more literal fast version, and the Furtwängler category, being the more emotional slow version. I have trouble a little bit with those categories because there are times when Toscanini thinks quite slowly, and conversely there are times when Furtwängler thinks quite fast. There is definitely a different style of music making in which the taut line that Toscanini always held with that orchestra created an incredible amount of excitement and even depth at times, while the Furtwängler way of conducting created less of what people could consider superficial excitement, and looked more towards an excitement of interpretation. It’s hard to put those into categories. It’s hard to say that about conductors. You look at someone like the great Leonard Bernstein, and one wants to say, “Yes, he does things quite slowly and he really pulls things apart.” Yet I’ve worked with him when he’s done things quite fast. One wants to say that he can be that superficial conductor who gets every ounce of excitement and drama out of a work, yet at the same time that superficiality certainly is not the case in terms of his music making which is certainly deeply felt. I think every conductor possesses his own technique and then brings his own musical spirit to that music. As soon as he gives a beat it’s his interpretation, be it the tempo, be it the style, be it the sound, be it the attack. Whatever it is, it immediately is transmitted to that orchestra. It’s not always good, but it’s always transmitted. It’s always fascinating to see that a conductor gives a beat and the orchestra sounds a certain way. It’s amazing that that actually does happen. An orchestra does not play its way all the time, but rather it is influenced by the way a man or a woman throws their arms around. It’s quite bizarre, but it’s true. Everyone wants to put composers and conductors into categories and it’s very difficult to do because if the composer or conductor is good, they’ll be making as many exceptions to that category as they make the rules. There was a time early in my life where I did things a little bit faster than I do now. At times I do things faster than most people, and at times I do things slower. At times I do what is generally considered to be a normal tempo, but I don’t think about whether the tempos are normal or fast or slow. I try to delve into the depths of the music, and try as much as I possibly can to not only understand the music I’m conducting, but hopefully almost feel like I have composed that music. I become so committed to the way that piece of music should be performed that I feel it’s the way the composer intended. Of course I can’t say that. Who knows what the composer intended? But at the time, I almost feel like I’m the composer himself. So if someone says to me that I’m doing something too fast or too slow, it never seems like a valid criticism to me even though it may be. It’s a very long answer to a very complicated question, and I think that the short answer is that there are no trends and styles in terms of conducting the way there have been in terms of composition. BD: Earlier I asked if you have any advice for young composers. What advice do you have for young conductors? GS: I feel the young conductors have a number of things they must think about very carefully. They must understand how hard it is to lead an orchestra of very gifted, very bright people. They have to have a certain humility so they understand that the people they are working with are extremely bright and extremely gifted. They have to have a tremendous knowledge and be willing to put in a tremendous amount of work. The majority of the work a conductor does is just sitting studying the scores before he actually conducts a note. He has to be serious. I feel that so many conductors nowadays either go on their talent alone by not studying enough, or are more interested in the superficial publicity they can get by doing certain works, or doing certain works certain ways, rather than just being concerned about the music. In the end, all that matters is our commitment to, knowledge of, and interpretation of that music. It’s not so different from composers. The thing that we all look for in the end is a musical personality there who is saying something. A conductor’s personality is not greater than that of the composer, but as a musical personality he is representing the composer in an honest, sincere way. BD: You say that most of the work of the work of the conductor is done before you step in front of the orchestra. BD: In working with the orchestra, is most of your work done in the rehearsal or do you leave just a little bit of spark for performance? GS: I do all the work in the rehearsals. I do everything I can possibly think of at the time, the musical work and the technical work. That’s not to say that there isn’t hopefully that additional spark at those performances. An additional spark is something you cannot define. I can say to an orchestra, “Please make a crescendo here and make a diminuendo here, and make this note the high point of the phrase. We’ll speed up here a little bit and we’ll slow down here a little bit, and play this more tenderly and play this more aggressively and play this with more passion.” I can say all these things. Then I can correct all the technical things and play the right rhythm and notice the dynamics and play this short and long. Those are all crucial things you work on, but when it comes to the performance, none of that matters. All that matters anymore is communicating that great work of art to the audience. Your job is to communicate it to the musicians so that in fact they, playing those instruments, can comminute it to the audience. There always is something left for that ultimate communication because it’s always more than just saying, “Make a phrase this way.” If the conductor is totally involved, which he must be, there will be something slightly different at that performance, and the orchestra will tell you in a minute. The conductors that have performances that are usually average are the ones that don’t have that communication. It’s the ones that take the chances that give great performances. If their technique is good enough, then they can make those chances work. If a technique isn’t great, then the chances can sometimes misfire. So the answer is I don’t leave anything for the performance, but there’s always something left for the performance. BD: Coming back to the opera house for a bit, have you done any Wagner in the theater? GS: No, I haven’t done Wagner in the theater. Fliegende Holländer is the only thing at the moment I have scheduled, even though I have asked a number of opera companies if they would like me to do Die Meistersinger. That’s something I very much want to do. Of course, like every Wagnerite I would love to conduct the Ring probably more than any other single work, if you can call it a single work. That has got to be one of the great thrills of a conductor’s life to conduct the Ring. BD: Have you got a leg up because you’re Music Director of the Seattle Symphony? GS: I’m not sure... Maybe if I were to do the Ring it would be a little bit of over-exposure. But I think one day I’ll take a summer off from Mostly Mozart and do something like that. BD: Is Roger Roloff going to sing the Dutchman? GS: Yes. He’s phenomenal. Working with Roger Roloff is for me one of the great thrills because not only does he possess a fabulous voice, he’s a consummate musician. He’s serious, he’s fun to work with and he remembers every little detail that one works on and works towards. He’s one of the great thrills. BD: I’m glad to hear you say that. He and I knew each other in undergraduate school, and I’ve kept track of his career now that he’s really gotten into the opera world. Will the Dutchman be presented in one piece or three? GS: Hopefully will do it in one. That’s what I prefer. In the last discussions I had with Speight Jenkins, I thought we would do it in one. That’s what I like. I think it’s fabulous like that. It has a much greater effect and it’s what’s correct. BD: The only one who loses out is the bartender. GS: That’s right the bar does lose, but as much as possible we have to make music for music and not for the economics, even though that does come into the case every once in a while. BD: Do you like this gimmick of the supertitles in the theatre? GS: Yes, I do. I like the supertitles. I know that there are some opera lovers who are really offended by it, but I feel that it is one of the reasons the opera audience has grown so incredibly in this country. In Seattle we recently did The Magic Flute and every performance was absolutely sold out. We have a thirty one hundred seat house and we did five performances and had to add a sixth. We opened up the dress rehearsal for tickets. It’s partly to do with Mozart, maybe something to do with me and the cast, but a lot to do with the fact that the audience can come and see some extraordinary theater and good acting and fabulous music with great singing, and know what’s going on. There are problems, of course. We all know on occasions they’ll laugh for a joke a little early or a little late and things like that, and for those people that sit in the front of the house it’s hard to read them. If they want to read them, they have to strain their neck. But I also have found that if I don’t want to look at them, I can just not look. In that way I feel it’s the best of all worlds. I completely understand why the Metropolitan Opera wouldn’t do it, but I equally understand why just about every other company in the country is using them. BD: So you’d rather do it this way than have the opera sung in English? GS: Yes. I have a great deal of problem understanding singers sing in English. In fact, sometimes I feel that those supertitles would be more useful when someone’s singing in English. At least when they’re singing in German or Italian, if you know a little of the language you can understand. In English I can never understand. BD: When you’re conducting an opera in the theater, do you get involved in the staging? GS: Sometimes, sometimes not. I always get involved a little bit, but it depends upon who the director is. Luckily for me I’ve worked with a lot of wonderful directors of late. If they’re on the right track, which they have been, I just stay out and stay away and just keep pushing for the musical values that I have even at the staging rehearsals. On occasion if a director will do something that I don’t approve of, or if something is destructive musically or even dramatically, I will say something, even though I understand that it’s not my final decision. I certainly will make my opinion known. BD: Are you dividing your time any differently now as you get more involved in opera? GS: Not really. I do about two or three operas a year and that’s about all I can do at this time. It takes, as you know, a lot of time. One of them is usually a concert performance, and one or two are staged which means you have to spend a lot of time. I am, of course, involved with all the staging rehearsals. I can’t really study more than that in a year anyway. Even if they were repeated, I couldn’t study much more than that. It would just take up too much time. To prepare for an opera is a tremendous job. A lot of work has to go into it, and there’s a very sophisticated audience out there. You really can’t get away with anything.... not that I would ever try! So I don’t think that my schedule is being changed at all now that I’m doing opera, at least visibly. BD: With all of the things you have going on it seems you are one the busiest musicians around! GS: For me, music is my life. I love it and I like being involved with it all the time. I do stay pretty busy, but I feel like I’m on vacation half the time even though I’m supposedly working. It means so much to me and it’s so uplifting. I’m also very lucky that a lot of the things that I do are noticed by people, and that’s nice. It’s nice to feel that there are people out there who understand what you’re trying to get at musically, and like it. So I’m a very lucky person, I must say, and I hope this kind of life continues forever. BD: Thank you so much for this wonderful conversation. It was lovely to talk to you. GS: Thank you. It was lovely talking to you, as well. The esteemed American conductor, Gerard Schwarz, was born in New Jersey to Viennese parents. He commenced trumpet lessons when he was 8. After attending the National Music Camp in Interlochen, Michigan (summers, 1958-1960), he studied at New York’s High School of Peforming Arts. He also received trumpet instruction from William Vacchiano (1962-1968), and completed his training at the Juilliard School (B.S., 1972). He played in the American Brass Quintet from 1965 to 1973, and the American Symphony Orchestra from 1966 to 1972. Gerard Schwarz began his conducting career in 1966 and, within ten years, was appointed Music Director of the Erick Hawkins Dance Company, Eliot Feld Dance Company, Waterloo Music Festival, Los Angeles Chamber Orchestra and New York Chamber Symphony. Schwarz co-founded the New York Chamber Symphony in 1977 and served as its Music Director through the ensemble’s 25th anniversary season in 2002. He has brought the New York Chamber Symphony from a fledgling organization to a full concert season at Lincoln Center's Alice Tully Hall. 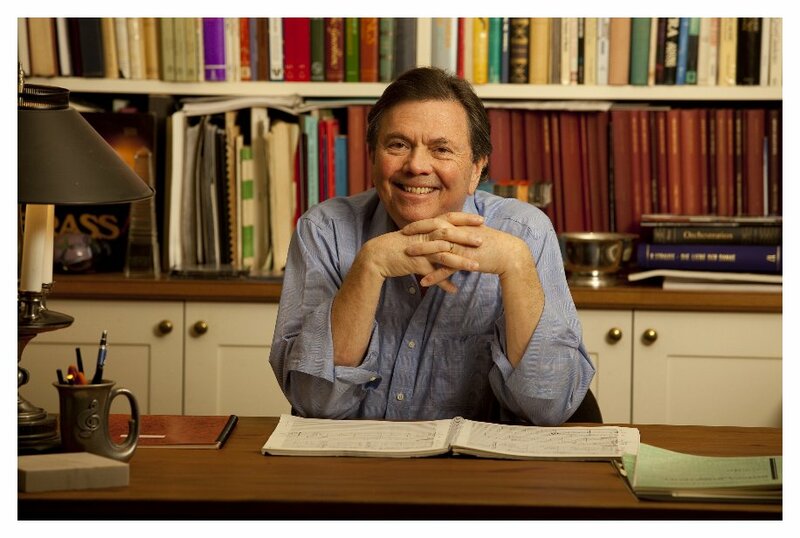 In 1981, he founded the Music Today Contemporary Series and served as its Music Director through 1989. From 1982 to 2001, he served as Music Director of New York’s Mostly Mozart Festival and is currently its Conductor Emeritus. He also served as Music Director of the Royal Liverpool Philharmonic Orchestra from 2001 through 2006. In 1983, Schwarz came to Seattle Symphony Orchestra as Music Advisor. The following year he was appointed Principal Conductor and since 1985, he has held the post of Music Director. Under his artistic leadership, Seattle Symphony Orchestra has evolved into one of the world’s finest orchestras. Schwarz’s vast repertoire, including his devotion to American music and the music of our time, has earned him praise worldwide both in performances and on recordings for his compelling sensitivity and extraordinary depth. His over 125 recordings with the Seattle Symphony Orchestra, many including music by contemporary American composers, have received widespread recognition, including 12 Grammy nominations, and further enhanced the reputation of Seattle Symphony Orchestra as a leader among ensembles championing the music of contemporary composers. During his tenure with Seattle Symphony Orchestra, Schwarz has received 6 ASCAP awards (American Society of Composers, Authors and Publishers). Schwarz is noted for his success in building the strength of the orchestra; when he began directing the Seattle Symphony in 1983 it had 5,000 subscribers; as of 2008 it had 35,000. He was also integral to the creation of Benaroya Hall, home of the Seattle Symphony Orchestra, which opened in downtown Seattle on September 12, 1998. The Hall’s superb acoustics have been widely-praised by guest artists, conductors, performing ensembles and music critics from around the world, as well as Symphony patrons. With the building of the Hall, Schwarz helped to grow Symphony audiences, broaden Symphony programs and expand the organization’s community outreach and music education initiatives, including Soundbridge Seattle Symphony Music Discovery Center located in Benaorya Hall. Beyond the impact on the Symphony, Benaroya Hall has been a major component of Seattle’s downtown revitalization, positively impacting tourism and neighborhood businesses. In the 2001-2002 season, Schwarz conducted eleven subscription series concerts in the Seattle Symphony Orchestra's new home, Benaroya Hall, as well as special concerts with solists Mstislav Rostropovich and Itzhak Perlman and five concerts in the "Musically Speaking" series. In 2003-2004, Schwarz shepherded Seattle Symphony Orchestra in another landmark event with the celebration Seattle Symphony Orchestra’s Centennial Season. He led the Orchestra in specially commissioned world premieres by six of the foremost composers of the USA, and led the Orchestra in its first-ever East Coast tour which included the Orchestra’s Carnegie Hall debut. Under Schwarz’s leadership, Seattle Symphony Orchestra has presented numerous festivals of music focusing on composers from various regions of the world, including the Pacific Rim, Silk Road region, the Americas and Central Europe. Building on his tradition of performing and recording contemporary American music, the Symphony presented a two-part Made in America Festival in 2005 and 2006, showcasing those American composers who created a distinctive American symphonic voice. The festival featured the music of American symphonists such as Charles Ives, Aaron Copland, William Schuman, Virgil Thomson, Leonard Bernstein, Augusta Read Thomas, Philip Glass, Bright Sheng, Ellen Taaffe Zwilich, John Corgliano and others who created a distinctive American symphonic tradition. In spring 2007, Seattle Symphony Orchestra presented Music of Central Europe: Bridging the 48th Parallel. Conducted by Schwarz, the festival repertoire and community partner presentations spanned seven decades of the 20th-century. A major highlight was the concert-staged performance of Béla Bartók’s Bluebeard’s Castle, featuring sets by renowned glass artist Dale Chihuly. During the 2008-2009 season, Seattle Symphony Orchestra presented a year-long “festival” that celebrated works by immigrant composers. The festival culminated in two special weeks of performances in May and June 2008. Performances of the rarely performed Genesis Suite featured narration by Academy Award winners F. Murray Abraham and Patty Duke, as well as visuals by Dale Chihuly. Bartók’s Concerto for Orchestra shared the program with a semi-staged presentation of Kurt Weill and Bertholt Brecht’s The Little Mahagonny. 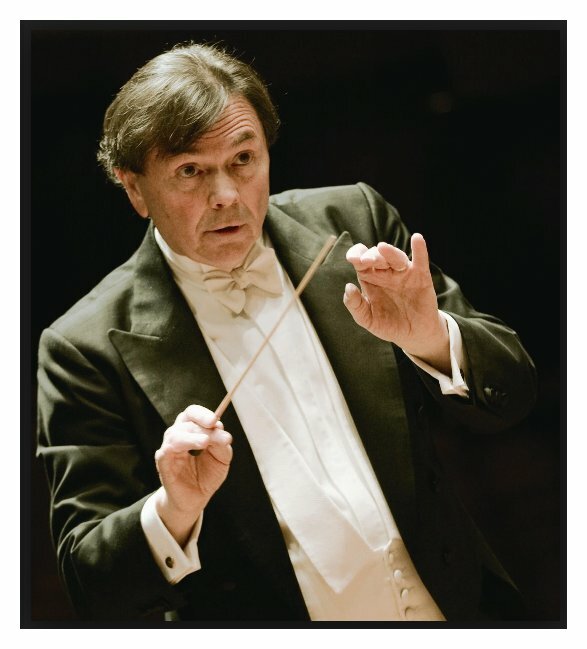 One of the leading conductors of his generation, Schwarz celebrates his 26th and final season as Seattle Symphony Music Director in the 2010-2011 season. He will then assume the title of Conductor Laureate and return to conduct the Orchestra for several weeks each season beginning with the 2011-2012 season. Various festivals have taken place under Schwarz’s leadership to celebrate the works of specific composers, including a Mozart festival in honor of the composer’s 250th birthday, and two Shostakovich festivals. In Spring 2009, Seattle Symphony Orchestra participated in a region-wide Seattle Celebrates Bernstein Festival. Schwarz recreated a Leonard Bernstein Young People’s Concert for symphony audiences and concluded the season with performances of Bernstein’s Chichester Psalms and Symphony No. 3, Age of Anxiety. During his tenure with Mostly Mozart Festival (1982-2001), Schwarz conducted a large repertoire, including many early Mozart operas in concert form. His appearances with Mostly Mozart have continued their prestige as New York's favorite summer festival, and brought them a large television viewing audience on the PBS network as well as an international profile with tours. He led the Mostly Mozart Festival Orchestra in debuts at Tanglewood and Ravinia festivals, as well as nine years of residencies in Tokyo at Tokyu Bunkamura’s Orchard Hall. 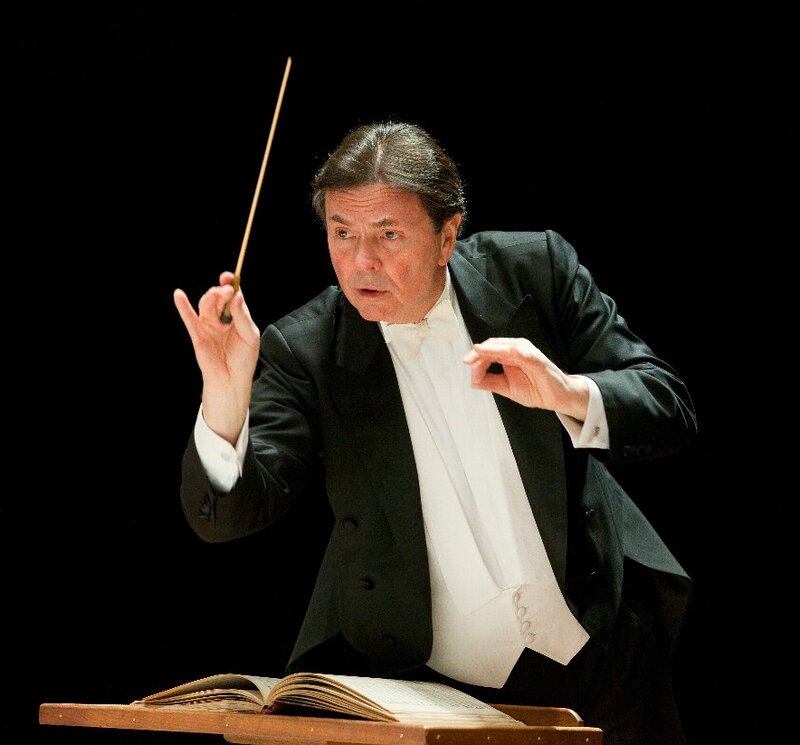 Further expanding his relationship with Tokyu Bunkamura, Schwarz became Artistic Advisor to Tokyu Bunkamura’s Orchard Hall, conducting six programs annually with the Tokyo Philharmonic Orchestra from 1994 to 1998. He currently also serves as Music Director of the Eastern Music Festival in North Carolina. Gerard Schwarz first conducted opera with the Washington Opera at the John F. Kennedy Center for the Performing Arts with Mozart's Die Entführung aus dem Serail. Since then he has appeared with several opera companies and festivals, including the San Francisco Opera, Seattle Opera, Kirov Opera (at St. Petersburg's historic Mariinsky Theatre), Juilliard Opera Theatre and Mostly Mozart Festival, the latter of which included the USA premiere of Strauss’ version of Idomeneo. In 1983, he led the American premiere of Wagner’s second opera Das Liebesverbot and Wagner’s version of Gluck’s Iphigenia in Aulis in 1984, both for Waterloo Festival. 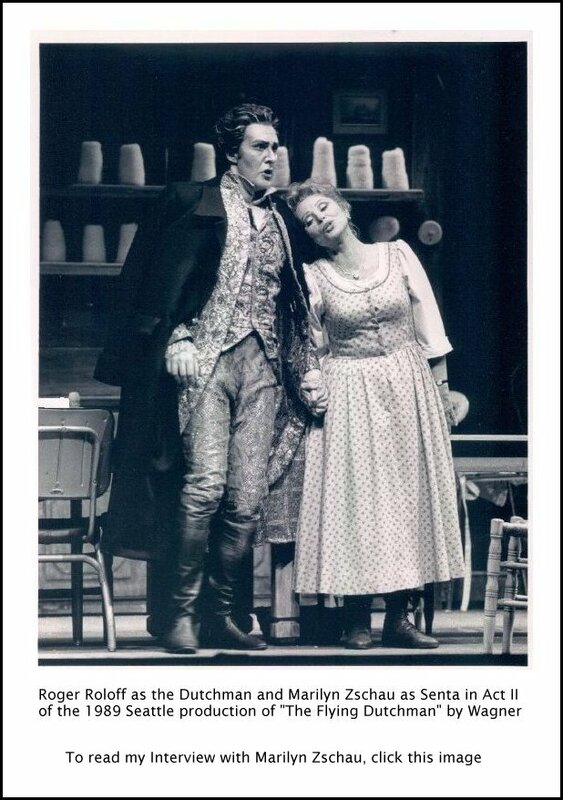 In January 1986, Schwarz made his Seattle Opera debut in Mozart’s Così fan tutte. In subsequent seasons he has led Mozart’s Die Zauberflöte, Le nozze di Figaro and Don Giovanni; Weber’s Der Freischütz; Strauss’ Salome, Ariadne auf Naxos, Elektra, and Der Rosenkavalier; Verdi’s Falstaff and La traviata; Wagner’s Der fliegende Holländer; Beethoven’s Fidelio; Debussy’s Pelléas et Mélisande and Janáček’s The Cunning Little Vixen, among others. 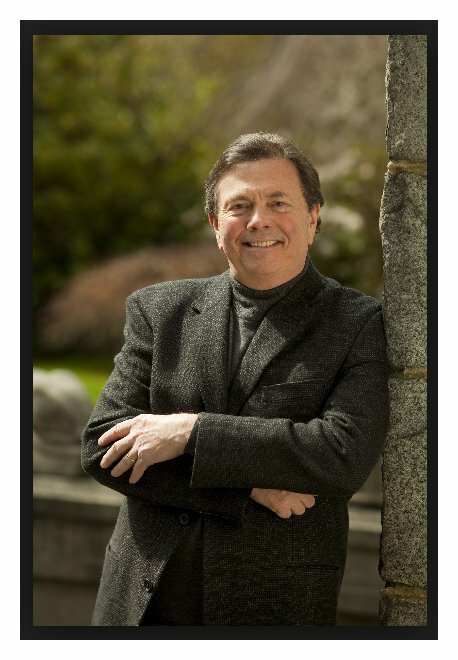 In 2010, he led the world premiere of Daron Aric Hagan’s opera Amelia with Seattle Opera to great acclaim. Schwarz continues to guest conduct around the world and has appeared with many of great orchestras and pre-eminent soloists of our time. As a conductor and passionate music education advocate, he has assisted in launching the careers of many young artists and fostered artistic growth in communities throughout the world. 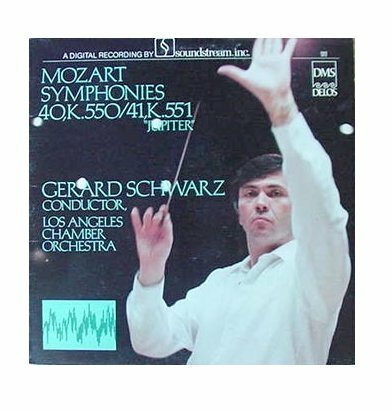 Schwarz has an extensive discography of some 260 releases with Naxos, Delos, EMI, Koch, New World, Nonesuch, Reference Recording, RLPO Classics, Columbia/Sony and RCA, primarily with the Seattle Symphony Orchestra. His many recordings with the Seattle Symphony Orchestra have been devoted to music of American composers such as Howard Hanson, Aaron Copland, Charles Tomlinson Griffes, Walter Piston, William Schuman, Alan Hovhaness, David Diamond, Paul Creston, as well as music of Igor Stravinsky, Richard Strauss, Béla Bartók, Maurice Ravel, Robert Schumann, Dmitri Shostakovich, and Wagner. He has also recorded extensively with other orchestras, such as the Philadelphia Orchestra, Tokyo Philharmonic Orchestra, Czech Philharmonic Orchestra, Royal Liverpool Philharmonic Orchestra, London Symphony Orchestra, Radio-Symphonie-Orchester-Berlin, Scottish Chamber Orchestra, English Chamber Orchestra, Mostly Mozart Festival Orchestra, Orchestre National de France, The Juilliard Orchestra, Los Angeles Chamber Orchestra, and New York Chamber Symphony. His recent recording activity includes all the Mahler symphonies and Strauss tone poems with Royal Liverpool Philharmonic Orchestra. In addition, he has made numerous recordings for the Milken Archive for American Jewish Music, including several with the Seattle Symphony Orchestra. Seattle Symphony Orchestra’s first CD recorded entirely in Benaroya Hall, an all-William Schuman disc that includes his Symphonies Nos. 4 and 9, was released in May 2005 on the Naxos label. From 2005 to 2010, Schwarz and Seattle Symphony Orchestra released the remaining Schuman symphonies and, in 2010, Schuman’s Symphony No. 8 was released, completing the series. Schwarz’s first recording of music by Howard Hanson was a mainstay on the Billboard’s classical music best-selling list for 41 weeks, including six weeks at number three. It was nominated for three Grammy Awards, including Best Classical Album of 1989, and earned a 1989 Record of the Year honor from Stereo Review. The next three recordings featuring Hanson’s music appeared on Billboard’s best selling charts and each earned Grammy nominations. In 2007, Schwarz released a recording of Hanson’s complete opera Merry Mount with Seattle Symphony Orchestra and distinguished vocalists. He has received two Record of the Year Awards and a Mumms Ovation Award. Maestro Schwarz’s recording of the Mount St. Helens Symphony by Alan Hovhaness, debuted on Billboard's chart at No. 17 and rose quickly to No. 5. Recent recording highlights with Seattle Symphony Orchestra include the release of Seattle Symphony Orchestra’s first self-produced recording of Holiday Classics; Samuel Jones’ Concerto for Tuba & Orchestra and Symphony No. 3; Bright Sheng’s The Phoenix, Tibetan Swing, Red Silk Dance, H’un (Lacertaions): In memoriam 1966–1976; Mahler’s Symphony No. 8; Arthur Foote’s Francesca da Rimini and other works; Deems Taylor’s complete opera Peter Ibbetson; and Mozart’s Clarinet Concerto in A major and Spohr’s Clarinet Concerto No. 2 in E-flat major. In addition to his many appearances on the Live from Lincoln Center series, Gerard Schwarz’s television credits include a 1984 KCTS TV/Seattle (PBS) broadcast of Mahler’s Symphony No. 2; Front Row Center, a KING TV/Seattle (NBC) award-winning 1985 broadcast featuring Copland’s Billy the Kid Suite; A Grand Night, PBS’s March 1988 celebration of the performing arts, for which he served as music director; two KCTS broadcasts of his acclaimed educational concerts titled Musically Speaking; a nationally telecast performance in France with the Orchestre Philharmonique; A Romantic Evening, a broadcast on KCTS in February 1993, which received a Northwest Regional Emmy Award; a live broadcast by KCTS of the Gala Opening Night Concert in Benaroya Hall on September 12, 1998; and an August 1999 National PBS TV Broadcast of Seattle Symphony: Home at Last, that presented the Gala Opening Night Concert in Benaroya Hall with additional interviews and information hosted by National Public Radio commentator Susan Stamberg. Under the direction of Gerard Schwarz, Seattle Symphony Orchestra won two Emmy Awards for its first two self-produced television specials, Seattle Symphony From Benaroya Hall in 2007, and Seattle Symphony From Benaroya Hall: Brahms, Kernis and Kodály in 2008. In 2002, Schwarz was nominated for a primetime Emmy for his Live from Lincoln Center performance of Mozart’s Requiem, which was broadcast on PBS. A Romantic Evening, a broadcast on KCTS in February 1993, received a Northwest Regional Emmy Award. Schwarz has received a number of other awards, including being named 1994 Conductor of the Year by Musical America International Directory of the Performing Arts, the first American to receive this award. In April 2003, the Pacific Northwest Branch of the National Academy of Recording Arts & Sciences gave the Maestro its first “IMPACT” lifetime achievement award. In January 2004, Schwarz was appointed to the NEA National Council on the Arts. In September 2006 he received a Mayor’s Arts Award, given by Seattle Mayor Greg Nickels for extraordinary achievement and contribution in the arts. In 2009, Schwarz received Seattle’s First Citizen Award and the Key to the City of Greensboro and, in 2010, he received the ArtsFund Award of King and Pierce counties. In 1989, Schwarz received the Ditson Conductor's Award from Columbia University for his commitment to the performance of American music. He received an honorary Doctorate of Music from The Juilliard School, and other honorary degrees from the Fairleigh Dickinson University, University of Puget Sound, Seattle University and Cornish College of the Arts. In 2001 he was named Honorary Fellow of John Moores University, Liverpool. This interview was recorded on the telephone on February 4, 1988. Portions (along with recordings) were used aboard Northwest Airlines as part of their in-flight entertainment package during April through June of 1988. Portions (along with recordings) were used on WNIB in 1992 and 1997, on WNUR in 2007, and on Contemporary Classical Internet Radio in 2008. The transcription was posted on this website in 2013.